Valentine’s Day doesn’t always have to be about huge bouquets of flowers or greeting cards. This Valentine’s Day, bring your partner closer to a natural healthy lifestyle. We came up with some Valentine’s Day ideas which your partner will love. Get them started on their journey on how to live a natural life. There’s nothing like a lovely candlelight dinner after work with your special someone, especially on Valentine’s Day! You know what will make it even more special? If you prepare a home-cooked meal with their favorite dishes. Go organic with the products you buy and prepare a delicious romantic dinner. You can start by shopping at a natural grocery store. If you are planning a meat feast then try to buy grass fed, locally grown meat and eggs. That’s healthier than conventionally raised cattle produce. Celebrate your partner’s first step closer to a healthy life style with organic fruits and veggies in your dishes. Light a few candles to set the mood. Although using a car may be extremely convenient, we all know it’s not good for our environment. Get your partner a bicycle this Valentine’s Day and kickstart their natural healthy life today. We don’t expect you to do away with using your vehicle all together. You can however, start using a cycle to get to and from your daily shopping chores. It’s not only great for the environment but also great exercise for you too. Encourage your partner to use their new cycle by scheduling a morning or evening cycling round together. It’s a great way to bond too! Massages are a big hit with most of us. They are relaxing after a hectic day of work and so romantic too! Your partner will just love this one. Use a luxurious organic, cold-pressed oil and pamper your partner with an exquisite back massage, or even a relaxing head massage will do the trick. You should try pure olive oil for the back and a coconut oil for the scalp. You can even try a homemade facial and go all out with the whole spa experience for them. Meditation is one of the best natural ways to de-stress and stay calm. It gives you an amazing sense of peace and is great for sound mental health. 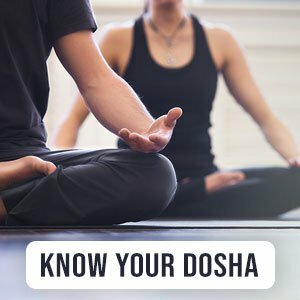 So you can look up simple meditation techniques which you can practice together. You can even sign up for yoga classes as a couple. It’s the perfect gift and will help you connect better as a couple. We really hope you enjoy these DIY ideas to bring you closer to natural living as a couple this Valentine’s Day.